I introduced Rosie in my post Rescue Stories: Rosie. 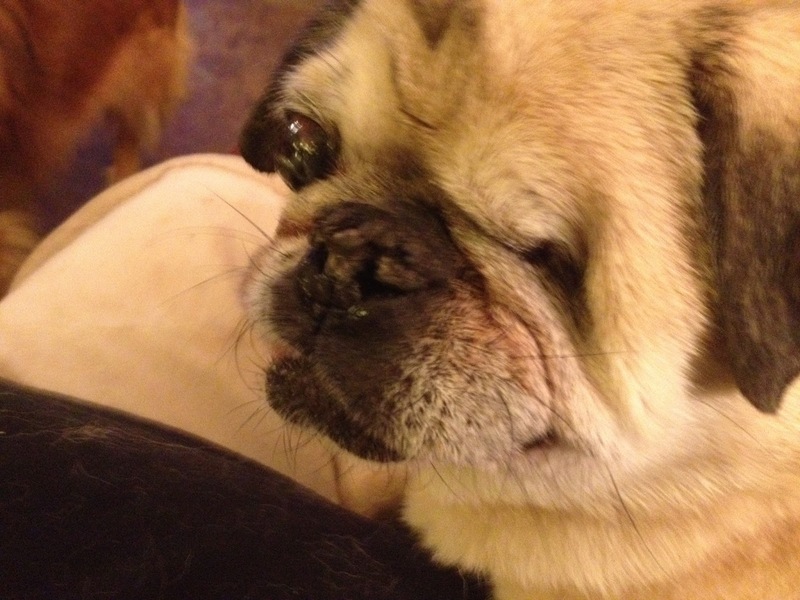 Rosie and her loving mom, Cinnamon, have become a strong voice against puppy mills. Recently and unexpectedly sweet Rosie died. Cinnamon is devastated as any of us that have lost a beloved companion understand. I am still grieving for Jelly Bean and I often cry in sadness and joy for all my other darling babies (my dogs) I have lost. This blog is dedicated to the memory of one of my special needs girls I had to let go a year ago, Sophie . With the death of Rosie, Cinnamon has received condolences and messages. Apparently some fans of Rosie and the icon she has become have spoken of breeding their dog and naming a puppy after her. A link to the page Everything Rosie is below. Be The Change. 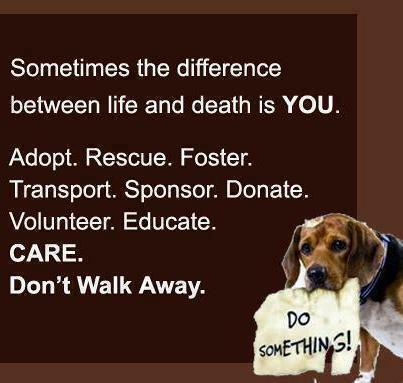 Sometimes the Difference Between Life and Death IS YOU! Even in grief Cinnamon has remained a staunch advocate against puppy mills and for animal rights. I want to share one of her facebook posts to help spread the word. Even in grief Cinnamon remains a staunch advocate against puppy mills. dearly loved and will go to my grave loving; yet, I also see the face of a dog that entered this world through a toxic gene pool because of greed and ignorance. So please understand why I am worried and disturbed to receive emails from people saying they are going to breed their dog and name a pup after Rosie. Please understand that my head and heart ache when people write to say it is such a shame she never had puppies. I know those folks mean well. Rosie and I made the best of what she had, and with an army of assistance, we still couldn’t repair the damage wrought by greed, ignorance and neglect. Please look at Rosie’s video and celebrate her life. I also ask you to make Rosie’s life have meaning and purpose. 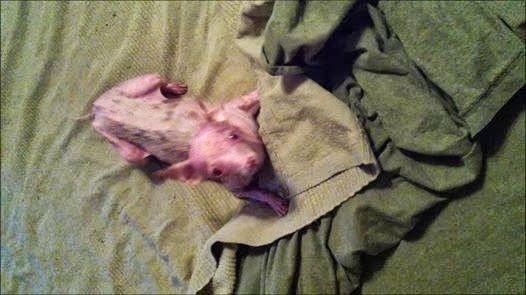 Make my sweet Jelly Bean and Sophie, puppy mill rescues with Congenital birth defects. So many animals have suffered due to the greed and inhumanity of humans. Please be aware and raise awareness. As I always ask and say: Be The Change. Sometimes the Difference Between Life and Death IS YOU! For more Rosie visit the Everything Rosie Facebook page. Rescue Groups, NMDR. Be The Change. National Mill Dog Rescue – NMDR – Saving dogs from puppy mills. The inspiration for NMDR is Lily. 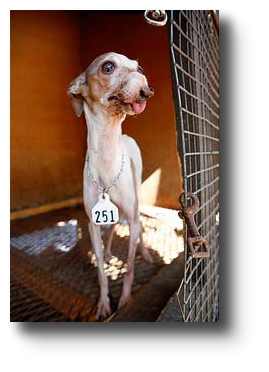 An Italian Greyhound auctioned off by a puppy mill. On that day over 200 dogs were ‘auctioned’. A volunteer Teresa Strader came to help with the 29 Italian Greyhounds. She rescued Lily and made her part of the family. For the last year and 1/2 of her life, Lily was loved. Lily’s story is not recent. But her story is compelling, heartbreaking and hopeful. The message is you can make a difference. Donate. Foster. Adopt. Educate. Do something. Watch the video below and say a prayer. Remember – Be the Change. You Make A Difference. Sweet Lily had never been outside of a cage. 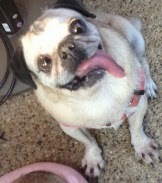 Her mouth, both bottom and top was rotted from no vet care, no care. 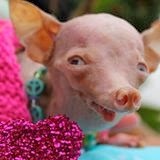 ‘Harley to the Rescue, Harley’s family works to raise money is a volunteer group committed to helping rescue mill dogs. 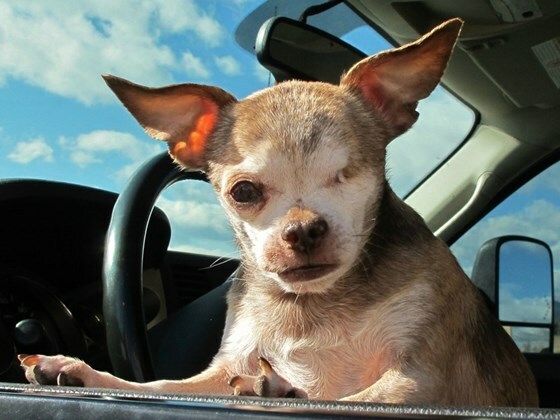 Harley is a mill dog survivor and a spokesdog on behalf of NMDR. In different words and images, the message is the same as mine. Be the Change. You Make A Difference. Be the Change. You Make A Difference.